Protecting Infancy of Ivory Coast Recovery? The killings of the UN Peacekeepers along with at least as many civilians prompted a condemnation both from the UN Security Council and UNSG Ban Ki-moon. However, this has been an ongoing thrat to both peace and the local population as a mixture of militias and profiteers ostensibly allied to the former regime of Gbagbo operate from neighboring Liberia. They have been conducting raids and operating various illicit trades, including conflict minerals. Reportedly they also receive support from other elements of the Gbagbo regime, some who took refuge in Ghana. 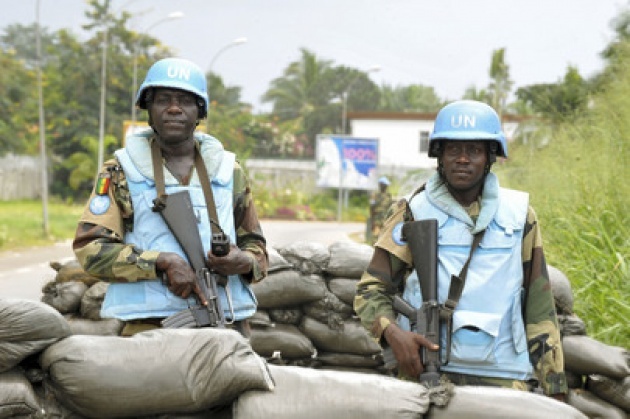 The peacekeepers were serving with the UN Operation in Côte d'Ivoire (UNOCI), and on patrol in the proximity of Para village, near the border town of Tai in the country's south-west on Friday, when they were attacked. “I call on the Government of Côte d'Ivoire to do its utmost to identify the perpetrators and hold them accountable for this deadly attack,” UNSG Ban Ki-moon said in a media encounter at UN Headquarters in New York on Friday. Liberia & Region Used as Bases by Militia/Gangs? 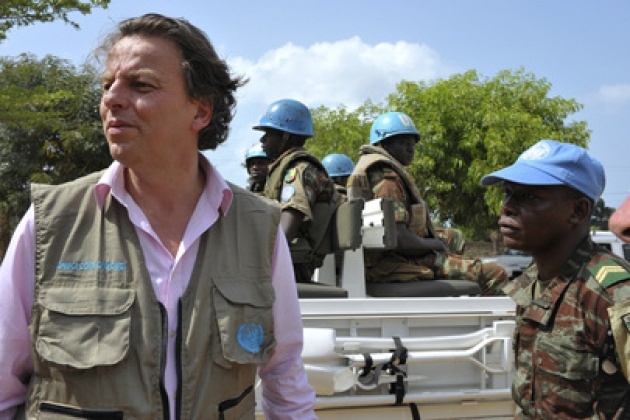 Head of UNOCI, the Special Representative of the Secretary-General, Koenders (UN Photo immediately above) also spoke: “UNOCI will take all the required measures following this severe violation of international law.” Apparently at least 40 UN Peacekeepers remain in the area to protect civilian villagers who continue to be at significant risk. 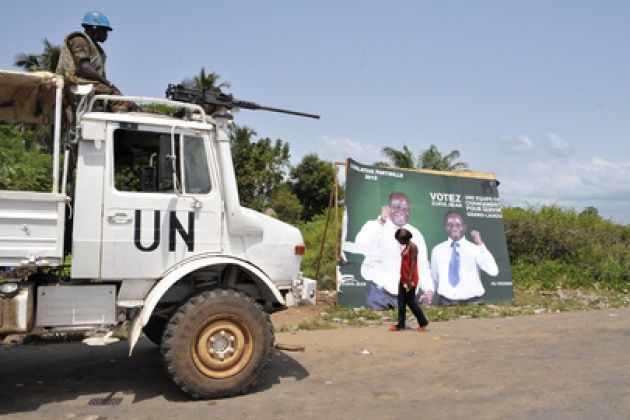 It is increasingly apparent though that the current situation threatens to reverse recent gains in the Ivory Coast, and may prove another spark point for the West African region as a whole. The search for stability/solution most likely will have to include Liberia taking steps that its borders are not abused by border gangs and further action to constrain/contain conflict minerals and financing of the militias/gangs. 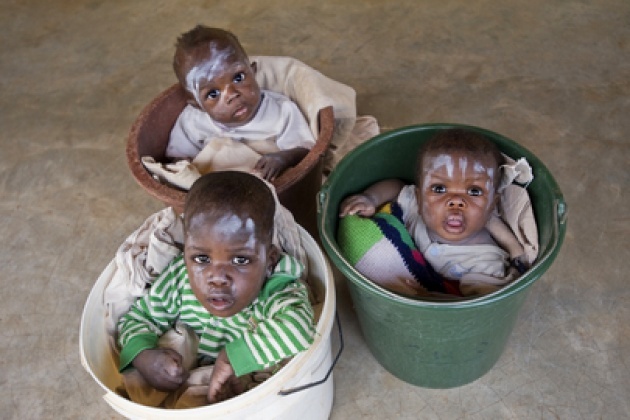 Top UN Photo is from orphanage in Ivory Coast being renovated with UN help.